Learning how to make thin crust pizza at home is one of the most important kitchen skills I’ve ever mastered! In all honesty though, pizza in Denmark is almost exclusively a takeaway food that comes from kebab places, so it’s not that difficult to upstage. I grew up in Connecticut, near New Haven and I spent a lot of time in New York, so I’ve had my share of great pizza. It amazes me being so close to Italy that the pizza scene here is so dire. In Denmark, land of no pizza parlors, people usually order personal size pizzas. Some places sell “family pizzas” which is what I was used to back home, but that’s the exception rather than the rule here. I’ve given up on pizza in Denmark. It’s generally bready, bland, and not worth the calories. The toppings are also a bit awkward, I once got a veggie pizza with corn, pineapple, and peas… iceberg lettuce is also a common topping! For all of those reasons, I committed to learning how to make thin crust pizza at home. My perfect pizza begins with a thin, crispy crust, which was the most difficult bit to nail, but it’s not as difficult as I’d feared. A pizza stone is not negotiable. The dough should rise at least twice. You must bake it at the highest temperature possible, 400°F isn’t going to hack it. This recipe makes a thin and crispy pizza crust, so if you prefer a thick and chewy crust, move along, this isn’t for you. Stir the sugar into the warm water. Break up the yeast and stir it into the sugar water and and set it aside for 10 minutes or until it bubbles and foams. Stir in the salt, olive oil, and 2 1/2 cups of flour. Knead the dough for 8-10 minutes either by hand, in a food processor, or in a KitchenAid stand mixer. If it seems too wet and sticky, add a bit more flour until its a manageable consistency. After the 8-10 minutes are up, the dough it should be smooth, elastic, and not sticking to the sides of the bowl. If it’s sticking, knead in a bit more flour. Pour a bit of olive oil into the bottom of a large bowl, transfer the dough to the bowl and flip it around until it’s coated with olive oil. Cover it with a towel and let it rest. If you’re crunched for time, the pizza dough should be ok to use after about an hour. For the best flavor and texture, let it rise for an hour, punch it down, and let it rise at least once more. I generally make my pizza dough at least the day before, rise it once, then put it in the fridge overnight. I take it out the next morning, punch it down, leave it at room temperature, and it’s risen again by the time I’m ready to bake it. I bake my pizzas on parchment paper on top of a pizza stone (yes, you do need a pizza stone of some sort to make great thin crust pizza at home, sorry), this eliminates the need for a pizza peel. I use a rimless baking sheet to slide the pizzas in and out of the oven, tugging on the parchment to assist. Punch down the dough one last time, then divide it in half by weight and stretch each half into a 14-16 inch circle on a sheet of parchment. Drizzling a bit of olive oil over the dough will make it easier to stretch, but after several rises, the dough is usually pretty easy to handle. Meanwhile, preheat your pizza stone at 500°F for at least 20 minutes. Slide the crust onto the pizza stone and let it bake until it’s turning golden brown. Remove it, top it, and bake again it until the cheese melts and the crust edges look the way you like them. 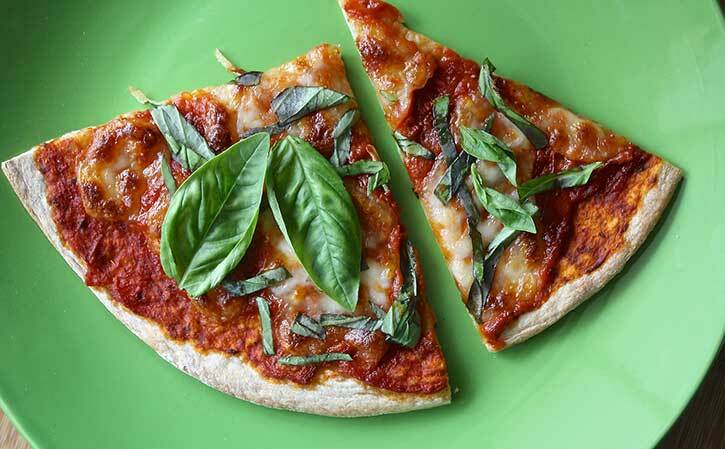 Now that you know how to make thin crust pizza at home, let me share my awesome and easy no cook pizza sauce recipe with you. Diced tomatoes with minimal seasonings will work and be more authentic, but we prefer something a bit more flavorful, so I always make this easy no cook pizza sauce. Empty the tomato paste into a medium bowl and whisk in a can full of water. Whisk in the remaining ingredients, and a bit more water, until it’s a consistency that makes you happy. Pizza sauce is best on the thick side so you don’t end up with a soggy crust. *Fresh yeast is most readily available in Denmark, it’s about $.20 a cake and and I can get 3 pizzas out of it… easily one of the best grocery bargains in Denmark. Feel free to substitute a packet or the equivalent of active dry or instant yeast. OMG! Thank you so much! I absolutely love pizza, and thin crust pizza is my jam. I have never been able to properly make a thin crust pizza before. 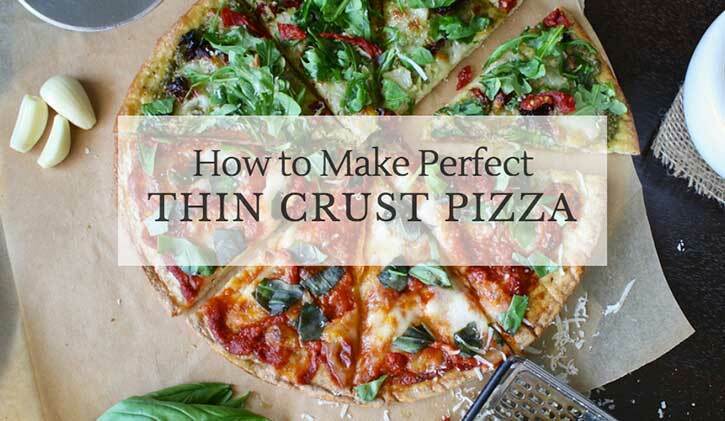 I cannot wait to follow this and see if I can finally get that thin crust that I absolutely adore. I only eat thing crust pizza these days so thanks for the recipe. This pizza looks amazingly delicious and healthy too. I can’t wait to try making it at home. Gash, I am so super hungry now! Your pictures are amazing! I LOVE thin crust pizza! Your sauce is what has me! I can’t wait to try it! I love a good thin crust pizza and so do my kids! 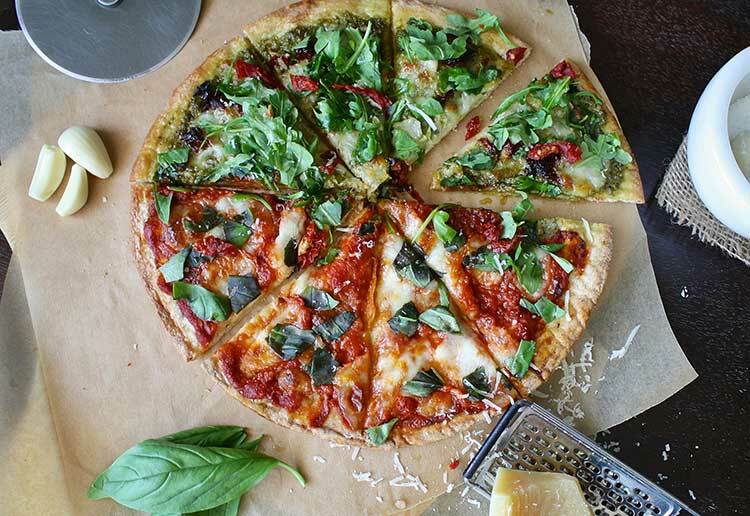 This recipe looks perfect for homemade pizza nights for sure! Your toppings look absolutely delicious, too! 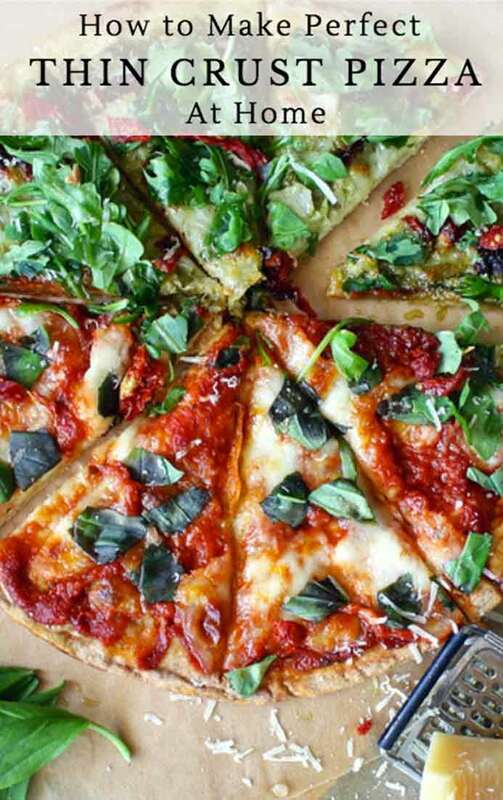 Yummy, love a good pizza and this sounds perfect to do at home! Your clear cut directions are incredibly helpful. My family loves homemade pizza. Since going gluten free I don’t make it very often, but I think I can use some of your tips with my recipe. Now you’ve got me craving a nice big slice of pizza! This looks really good! 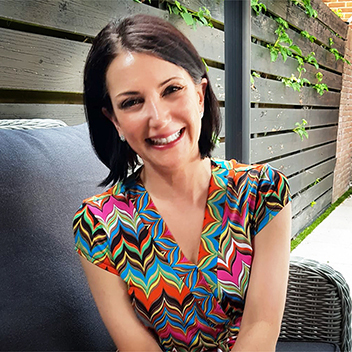 I am always on the lookout for new recipes to try to make for the whole family. I think this one would be perfect and everyone would love it! Thanks for sharing! I’m craving pizza right now!! We make homemade pizza with the kids every Friday…it’s so delicious that we never even think of ordering in! I like thin crust so this is perfect for me! I like the idea of homemade pizza you can pick your own toppings and it is much cheaper than to restaurant. This looks amazing!! I would never think I could make this at home – until now. Thanks so much for sharing! I can’t wait to try this out! I do like a thin and crispy pizza, so I will give this base a go. I have a slab of marble I bake my pizza bases on, but have never thought to use grease proof paper to bake it on. Always looking for a great pizza crust recipe. We enjoy doing make your own pizza night with our kids. Next time we do this we will try this recipe. Yum!! I’ve had the honor of Sage making this pizza for me and OMG!!!! AMAZING!!!! I’m using your sauce recipe from now on. I love it!